In early May, pale yellow carpets some hillsides of Northern Utah. The plants are a non-native known as Dyer’s Woad. This Asian member of the cabbage family has been cultivated as a dye and medicinal plant in Europe and Asia for 2000 years. Dyer’s Woad produces a glorious blue dye, but the process is tricky. No synthetic dye equals the color and characteristics of woad dyes. 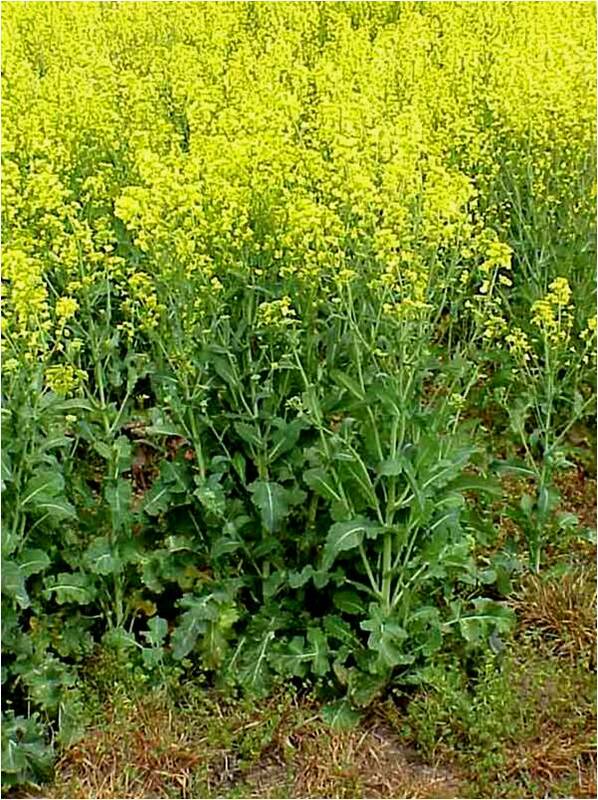 Woad had arrived in Utah by 1932 as a seed contaminant. Now it is a noxious weed. Woad has a number of unique abilities that contribute to its vigor. Being a biennial plant, it spends the first year of life as a rosette of leaves, building reserves. In its second year, those reserves allow a woad plant to send forth a tall, lanky stem covered with pale yellow flowers that ultimately yield up to 10,000 seeds per plant. Although Dyer’s Woad is not toxic, few animals relish it either. The seeds have chemicals that inhibit germination and root elongation in other plants, giving woad a competitive edge. Woad causes millions of dollars in losses each year, so control is a major issue. Herbicides and mechanical removal are best used against the rosettes, but nature has provided a native fungus that views woad as dinner. This rust fungus is very effective at eliminating or severely reducing seed production. Plants infected with the rust fungus are misshapen, wrinkly, and covered in dark spots. Those spots brim with rust spores. 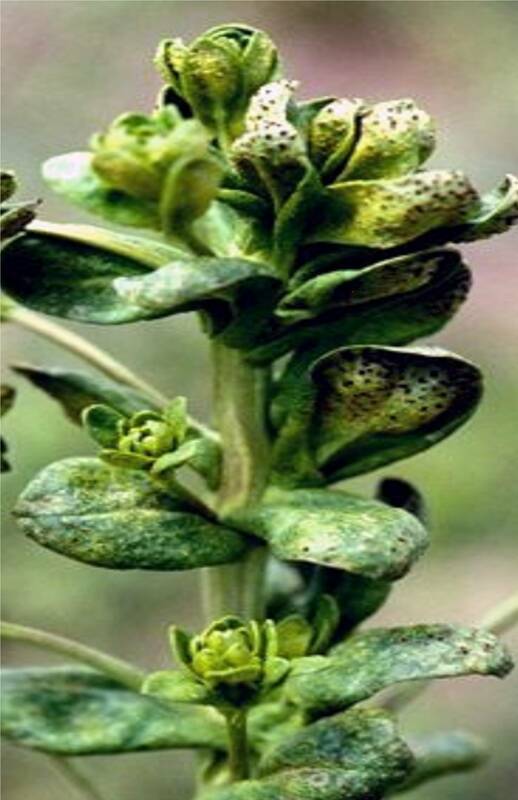 Therefore, when removing woad, leave the sickly plants to infect yet more woads. There is surprise and joy when discovering a flower peeking up at you from near the lingering snow. Long after winter weary eyes have devoured the early floral offerings of gardens here in the valley, our local natives are stirring higher up. As you wander thru mountain sagebrush and meadows, you may encounter scattered groups of two native wildflowers, Steershead and Turkeypeas. Both are a delight to the eyes, but difficult to find initially, as their diminutive nature keeps them hidden amid the surrounding plant litter. 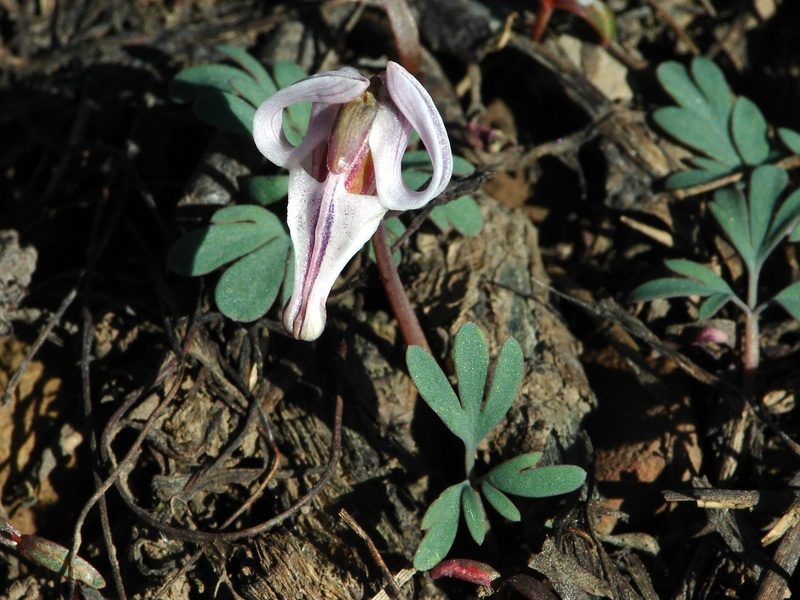 Steershead, or Dicentra uniflora, lives up to its common name. A close cousin to the bleeding heart, it has four white to pinkish petals tinged light brown to purple, two of which are spurred. The longer pair bend back, while the shorter pair are fused at the tip, providing the “cow skull” appearance of the flower. Diminutive plants, they send forth leaves and a single flower from thickened, spindle-shaped tubers. Just a few inches tall, this small plant packs a lot of charm and a bit of poison for protection against plant eaters. Steershead occurrs singly or in small clusters, so it is easily overlooked. Turkeypeas, Indian potato or Orogenia linearifolia, on the other hand, grows in extensive colonies, making this 4 inch tall plant a bit easier to find. A member of the carrot family, Turkeypeas produces very small whiteish flowers in umbels atop a short stem. Arising from a fleshy tuber, the leaves are divided into long linear segments (hence the name ‘linearifolia’). The starchy root is edible, though small, and historically was collected in large numbers by indigenous peoples in the spring. The tubers are avidly sought by squirrels. So as the snow melts off the hillsides, look for these little darlings. Found only here in Western North America, I’m sure they will charm you as well. Pictures and links are available on our wild about utah website. Thanks to Michael Piep of the Intermountain Herbarium and Utah Native Plant Society. Anderson, B.A & A.H. Holmgren 1996, revised. Mountain Plants of Northeastern Utah. USU Extension Services. Logan, Utah. Shaw, R.J. 1989. Vascular Plants of Northern Utah. Utah State University Press, Logan, Utah. Shaw, R.J. 1995. Utah Wildflowers. Utah State University Press, Logan, Utah. Carnivorous plants stoke the imagination and spawn Hollywood films. They have bizarre adaptations to aid in the absorption of nitrogen in the nutrient poor environments in which they live. Venus Fly Traps are perhaps the most famous, their moving lobes snapping shut like a purse around the insect prey to be digested. The far more numerous Pitcher plants produce a simple pit trap. Butterworts and sundews both deploy sticky hairs to ensnare prey. There are other carnivorous plant types, but here in Utah we have only 3 species of Bladderworts in the genus Utricularia. Our three species are denizens of the water, and as such are scattered among the ponds, lakes and sluggish creeks of the state. Their finely divided leaves efficiently capture sunlight. Bladderworts are often found floating freely on the water surface. Despite their aquatic nature, bladderwort flowers are showy and held above the water surface to attract pollinators with their yellow loveliness. How can an aquatic plant be carnivorous? The plants produce bladder-like utricles along the underwater stem that look much like cancerous growths. These hollow bladders have tiny hair-like extensions that respond to motion. When stimulated by any wee swimming creature, the hairs cause the flattened bladder to inflate, sucking in both water and prey. Of all the carnivorous plants, Bladderworts are the easiest to grow … a warm aquarium and some pond mud is all that is needed to keep a Bladderwort happy and healthy. So next time you visit one of our natural ponds or lakes, look for these carnivorous plants. You may even hear the faint crackling sound of the utricles closing as you lift them from the water. 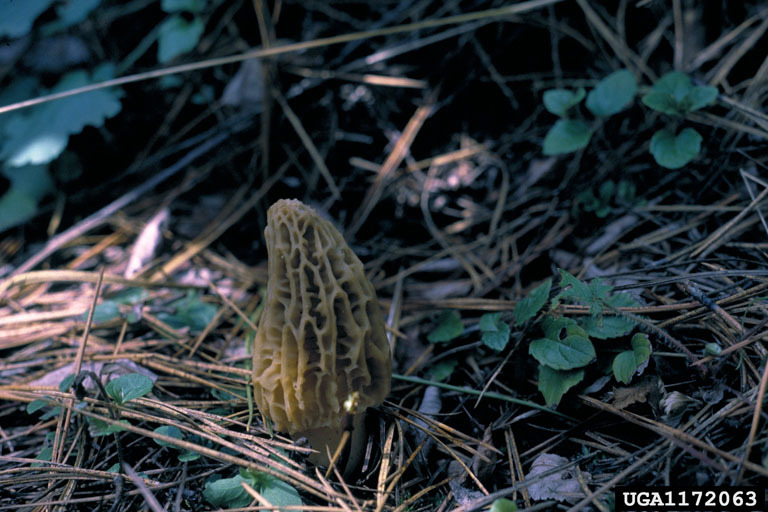 The morels are among the most highly prized edible mushrooms in North America. Also called sponge mushrooms, morels have a long list of local names. There is an on-going debate as to how many species of morel are found in North America and what each should be named. Some suggest as few as 3 species, others as many as 50 species. For simplicity, Michael Piep of the Intermountain Herbarium, says 4: white or yellow, half-free, gray and black. All are delicious. All morels have a cone-shaped, sponge-like head on a lighter colored stem. Appearances can be deceiving … morels are difficult to spot at the best of times, and seem adroit at hiding and camouflage. This is an interesting question … localities range from under an old apple tree in Taylorsville to pine woodlands high in the canyons. In general, the white/yellow and half-free types tend to occur along streams and rivers most often on sand bars and tend to prefer areas with mature cottonwood trees nearby. 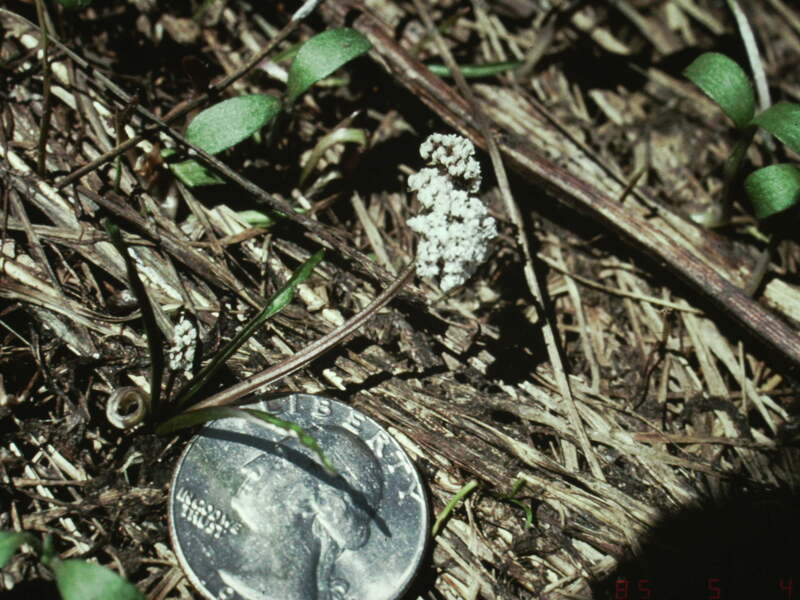 Black morels are found at higher elevations typically on north or north-east facing slopes and most frequently under Lodgepole pine, but may be found with other conifer species and even quaking aspen. Gray morels don’t seem to be as choosy, and can be found in both habitat types. The half-free morels start fruiting first, starting at about the time the buds on the cottonwood trees are about to burst. Yellow/white morels fruit at about the time the apple blossoms show pink; as do the grays. The black morels fruit about the time the aspen leaves are the size of a dime. Hopefully these rough guidelines will help in your pursuit of the wily morel, and as always … Happy Mushrooming!